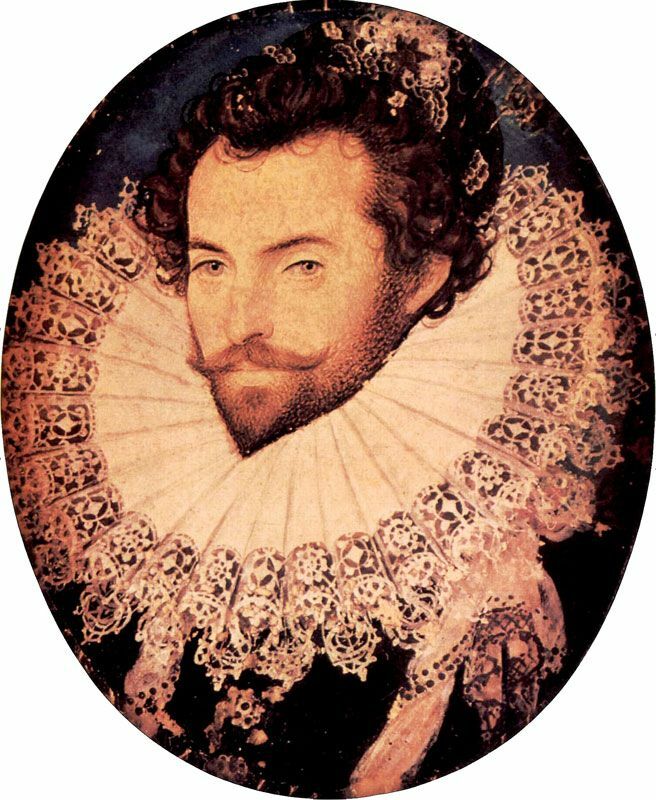 "Portrait of Sir Walter Raleigh, Oval" by Nicholas Hilliard. c. 1585. National Portrait Gallery, London.